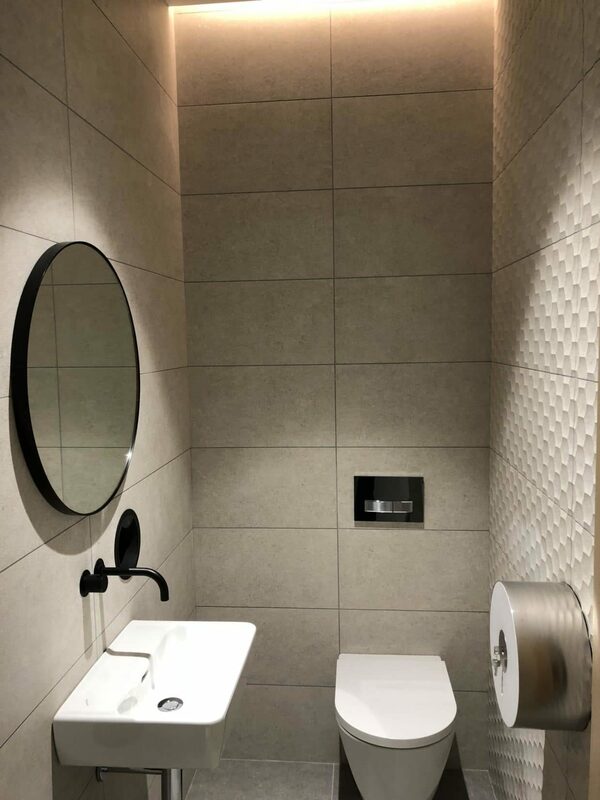 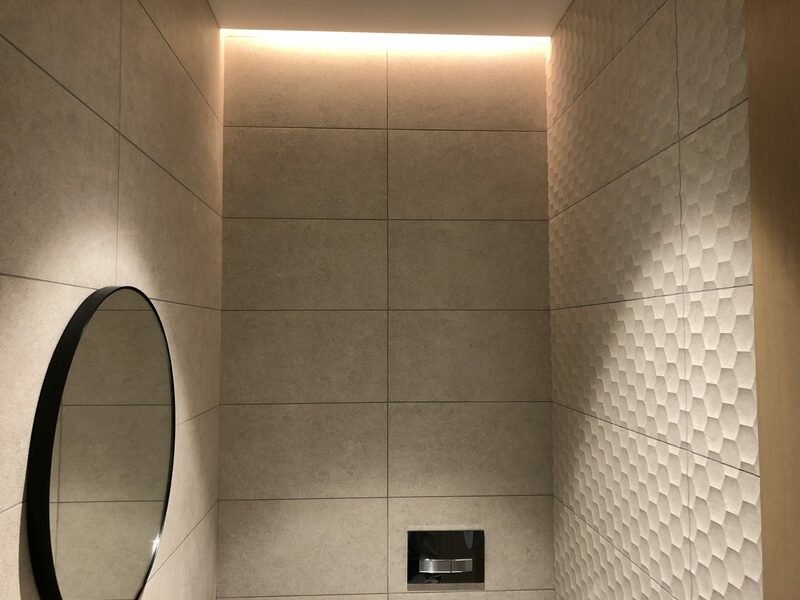 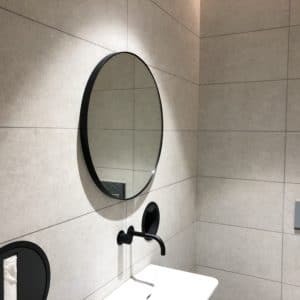 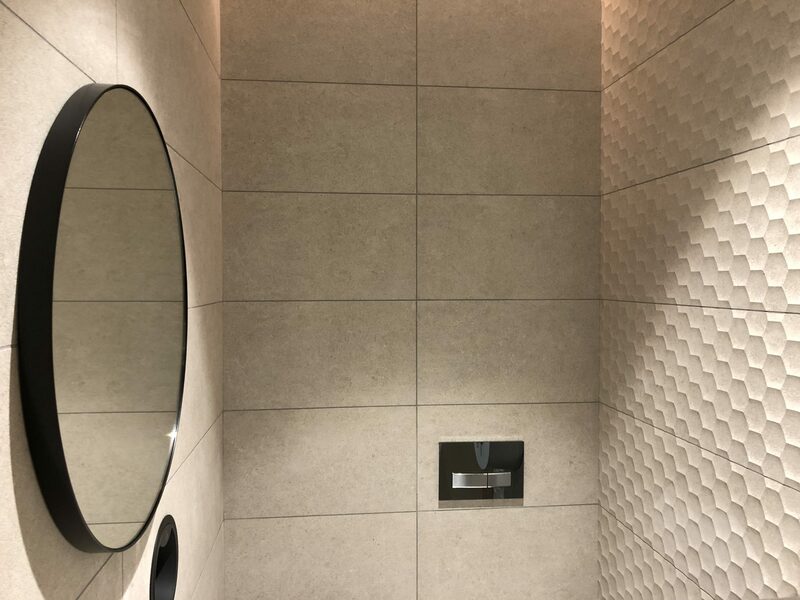 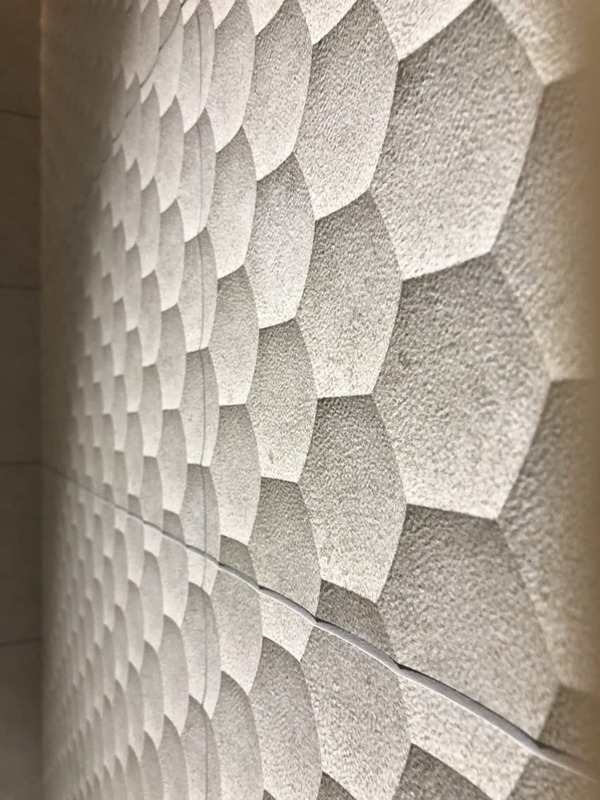 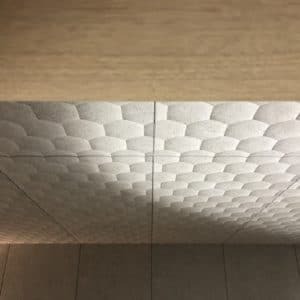 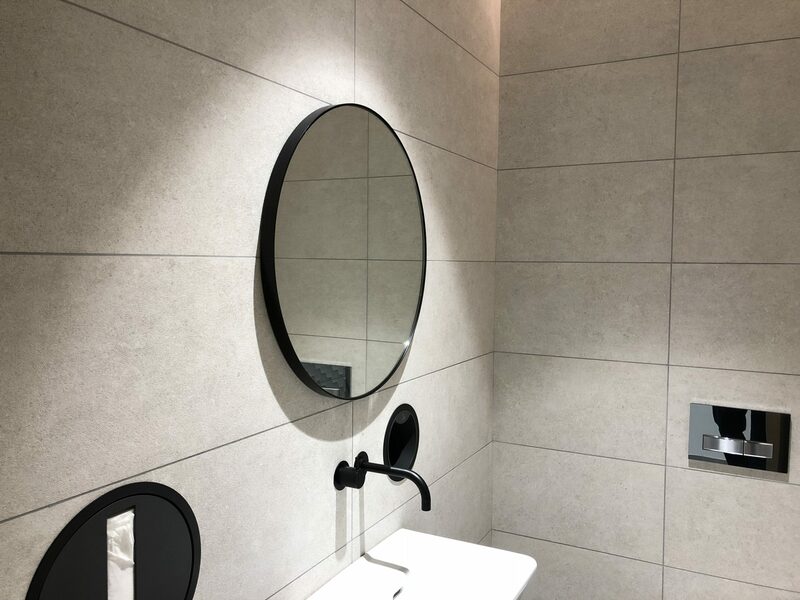 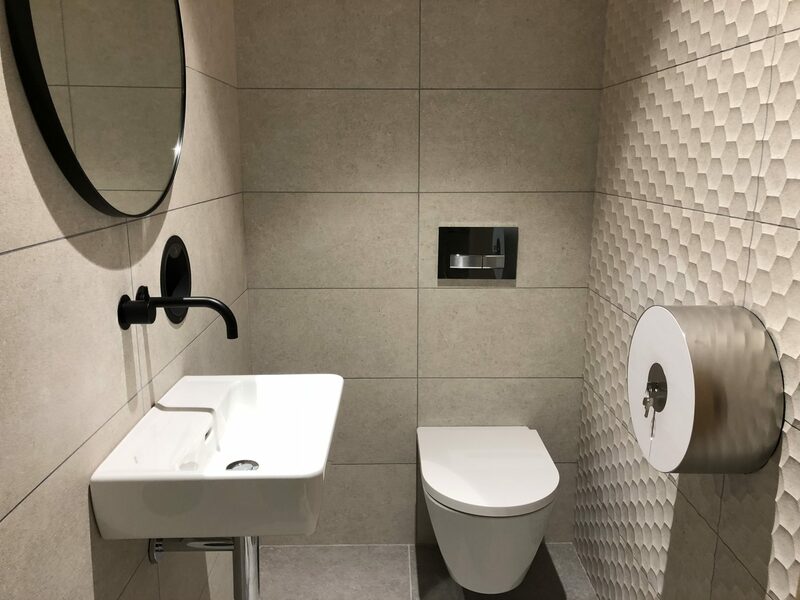 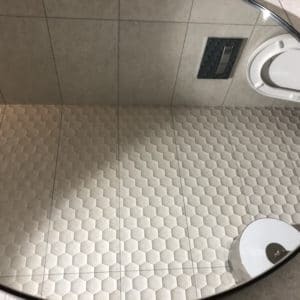 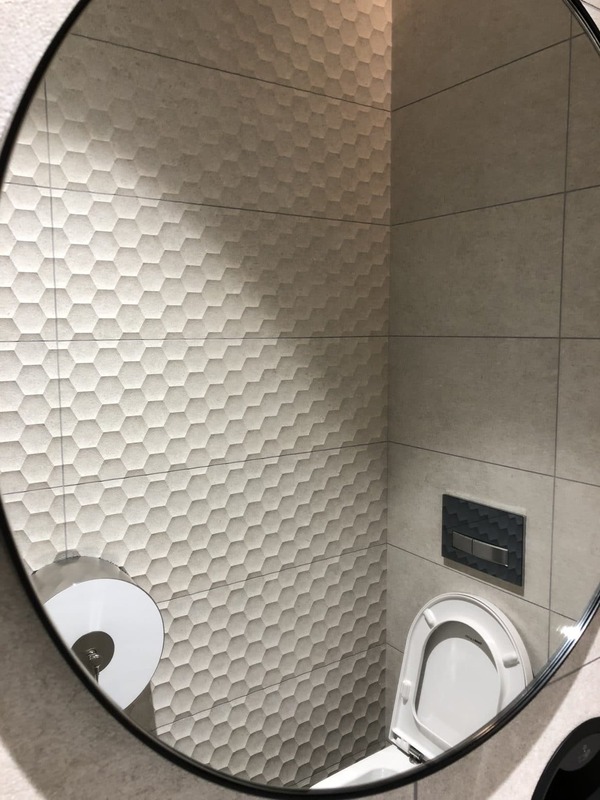 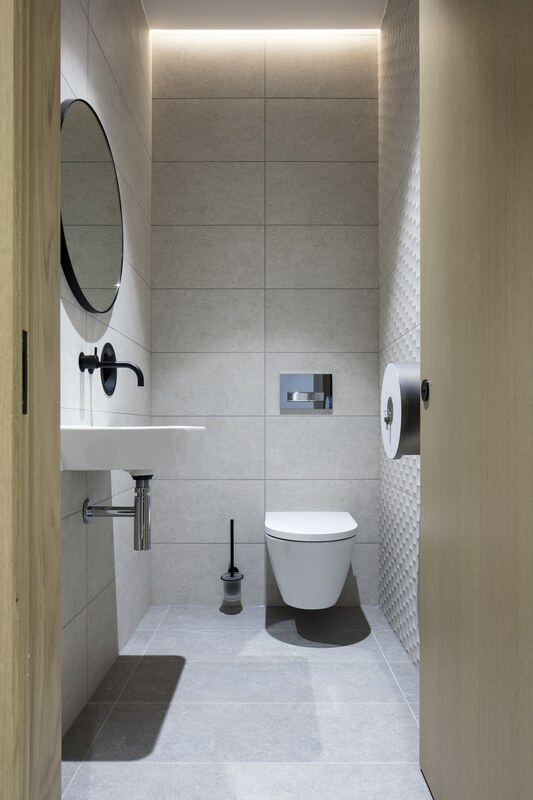 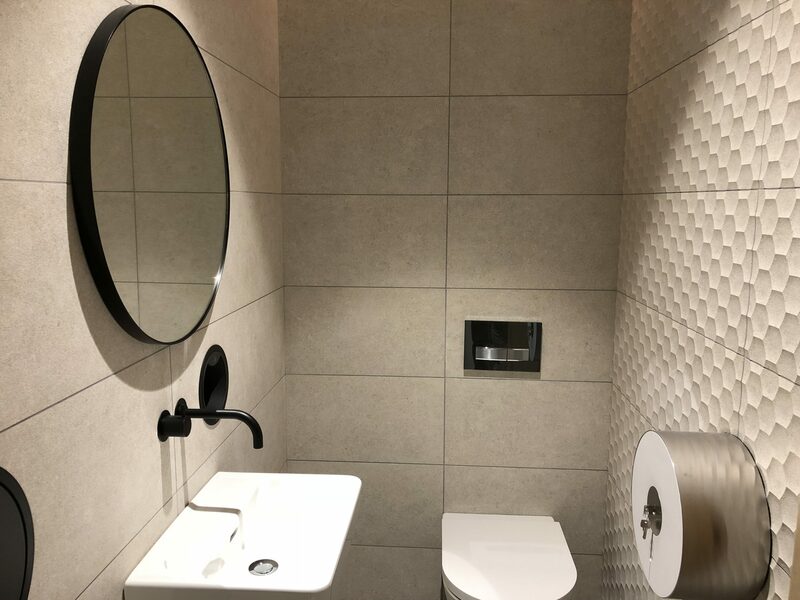 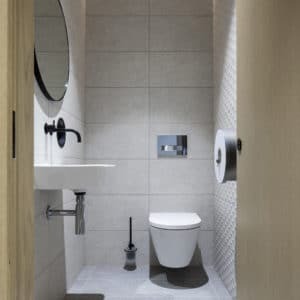 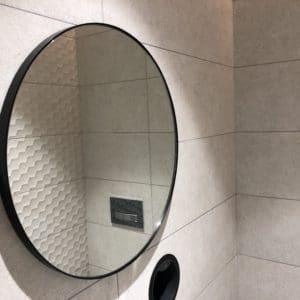 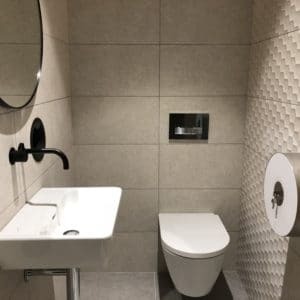 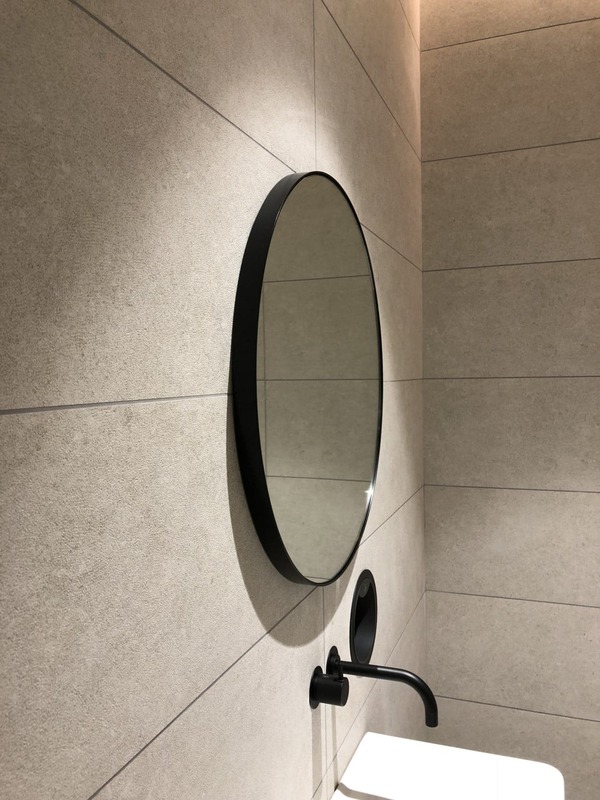 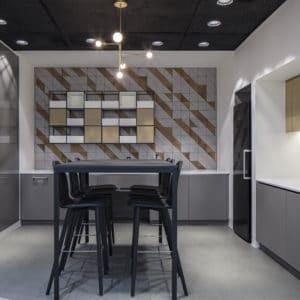 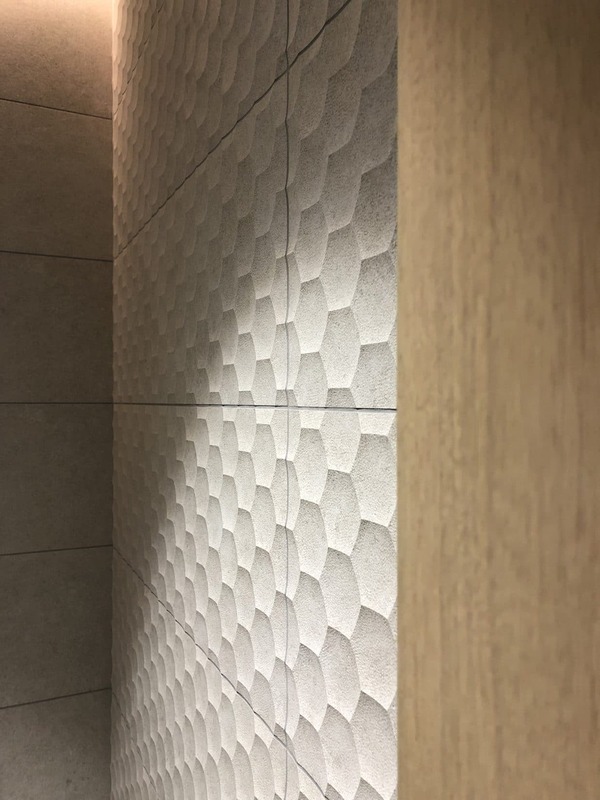 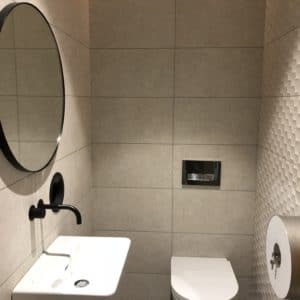 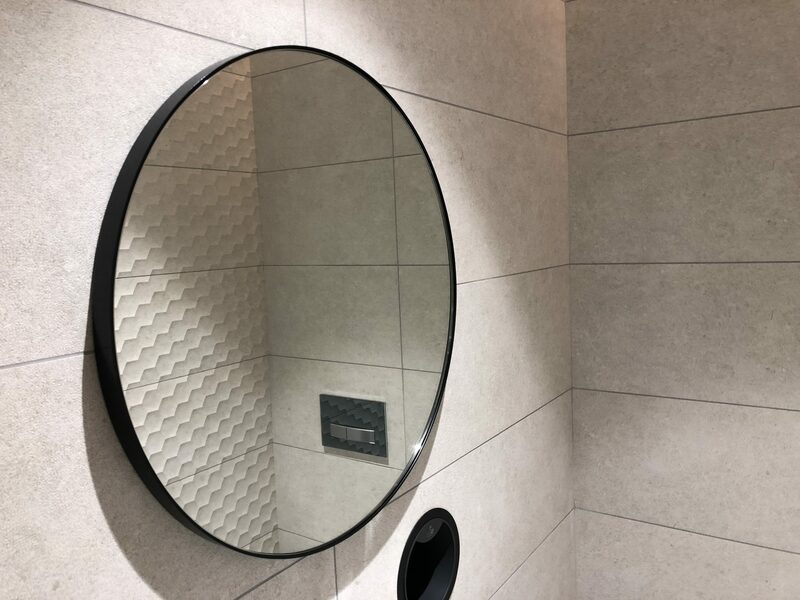 BW Interiors instructed Konix to complete 3D textured tiling to WCs, and design, manufacture, and install a bespoke tiled feature wall, for Bristows. 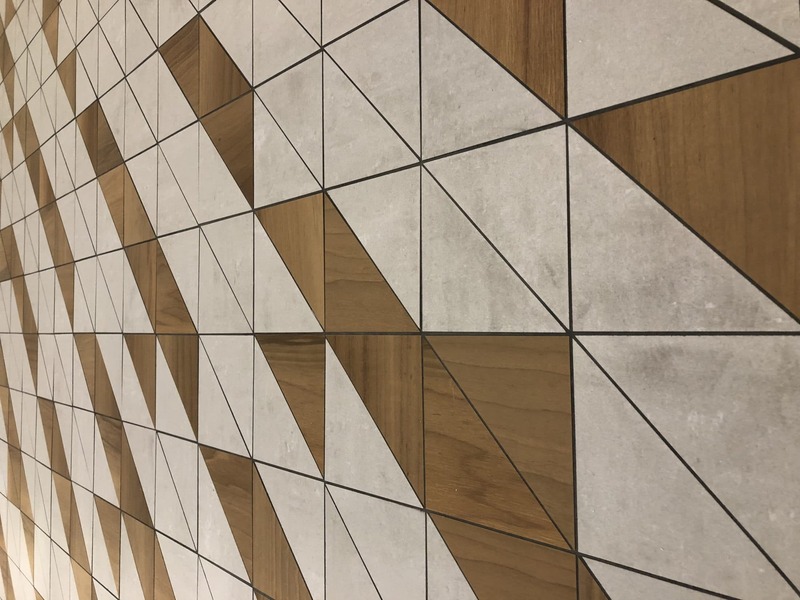 Bristows is a London law firm serving innovative companies and industry leaders around the world. 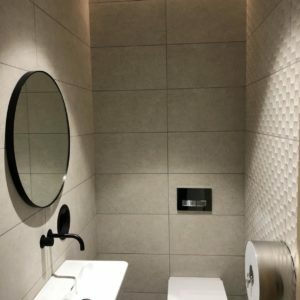 Our offering is full service, commercial and practical. 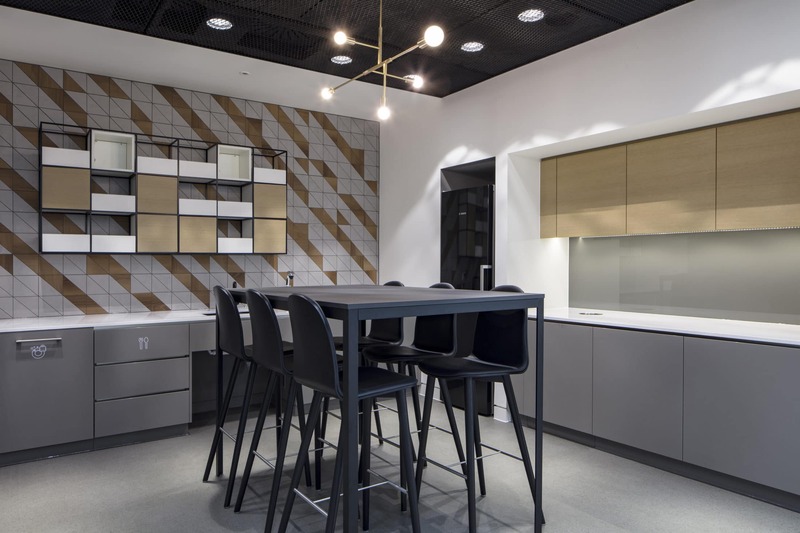 BW is a fit out and refurbishment expert. 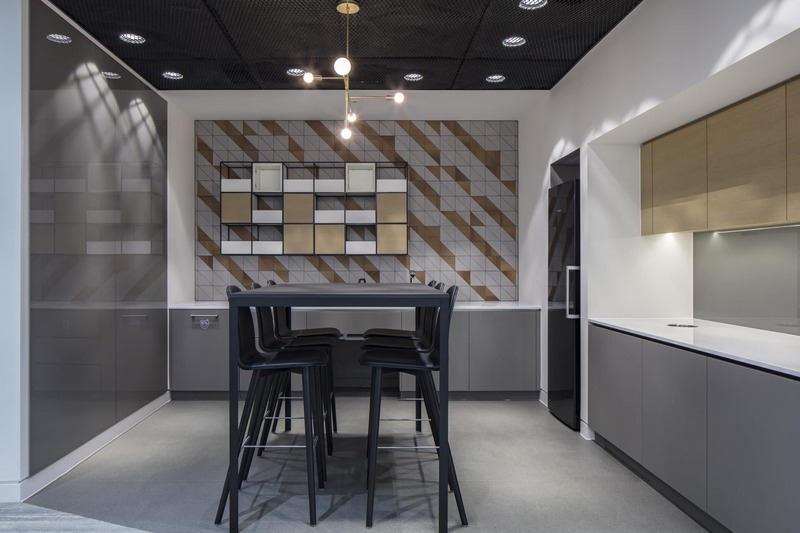 They work with occupiers, asset managers and consultants to deliver workplaces with a personal touch. 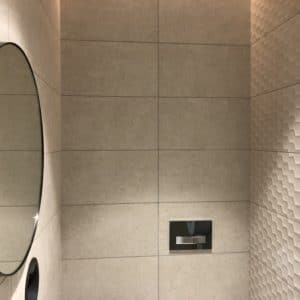 Konix were instructed to supply and fit tiling to all WC floors and walls, including 3D feature walls. 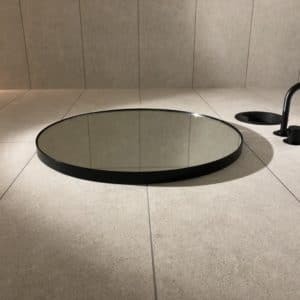 The challenge was to create multiple large circular cut outs for the sunken wall furniture. 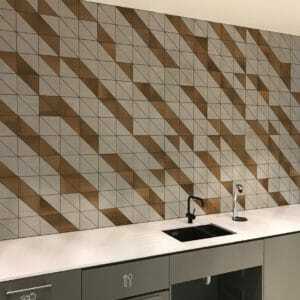 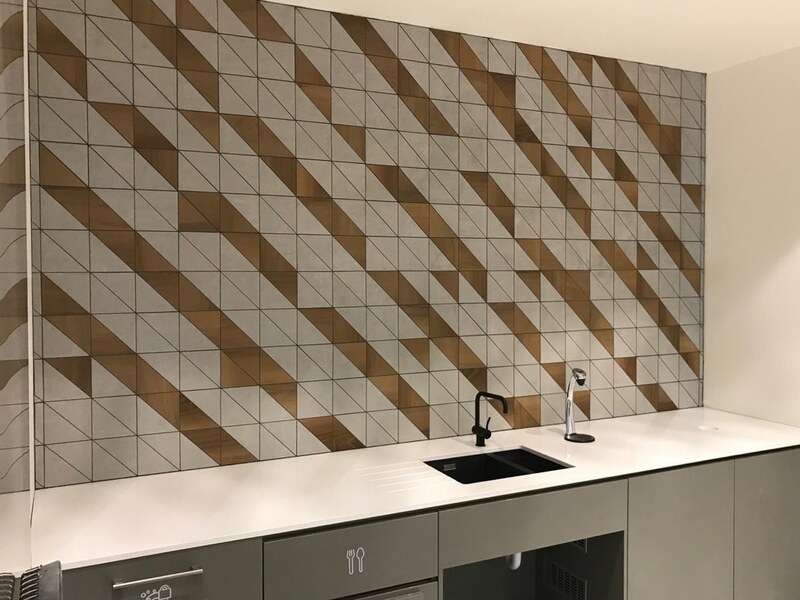 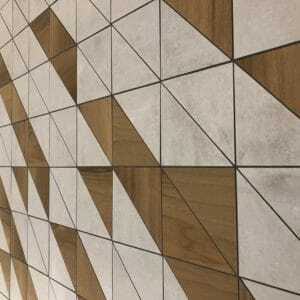 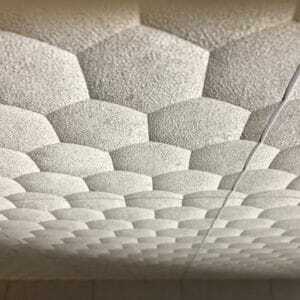 Konix were instructed to design, manufacture and install a custom made triangular tile to a tea point feature wall. 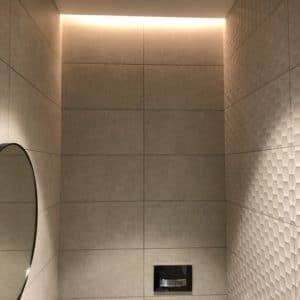 We worked very closely with the designer and the architect to fulfill the clients exact requirements.